My goal for this build was to have a home theater with a gaming computer connected 24/7, so I wanted it to be completely silent when idle, and quiet when gaming. This would allow the computer to be turned on while watching movies, listening to calm quiet music and for people to sleep in the room without having to turn the computer off. For the PC I also looked at how to best match it with the speakers and general setup, and also being able to use the Led's that comes with most of today's tech, but with the ability to control them and also turn them off. For Audio I went with a 5.1 setup consisting of Dali Rubicon speakers combined with 2x JL Audio Fathom F112 sub-woofers. For Visuals I went with a 75" UHD TV from Samsung. Since I sit fairly close to the surface the picture will be on I figured thos would be better than a projector - as well as not having to worry about switching bulbs and having low light conditions. The swivel makes me able to pull the TV 60cm out from the wall putting it flush with the speakers, and makes a perfect view-condition when watching movies or playing games - while casual viewing is good with the TV up against the wall. Only minus as I see it is that 4K TV's only are fed 60hz at the moment, so I can't have 120hz gaming from the PC on it. I decided on the Z270 platform with the 7700k simply because it seemed like the best and logic chose. I also did lots of research on 6-8 and 10 core setups, but for gaming their main benefit was more PCI Lanes, which - I didn't see the need for. The reason is that when two 1080 Ti's are working in SLI I already have the power I need for 60Fps 4K Gaming, where as when I have to disable SLI and rely on one card in games that does not support SLI, the extra Lanes won't really benefit me, and these are the moments I need the extra ompf from the computer - which the Cpu then will help with as it is clocked higher. I looked at several reviews and benchmarks and found that Dark Rock Pro 3 is just slightly beaten in performance by the same sized Noctua - but the Dark Rock Pro 3 is a tiny bit more quiet, and looks hell of a lot better with the setup, so it was a simple choice for me. I was worried that the huge heatsink would be touching GPU1, as my predictions calculated 4mm clearance - and that's not counting the pin from the fan - but I figured that if the main parts isnt touching I will be able to solve the rest. As it ended up I indeed have the fan-pin touching the back-plate of the Gpu1, so I've got both pins covered in a small piece of tape just in case. The SLI bridge is also super-close to touching the Dark Rock Pro 3, but luckily it's corners are cut, and thus clears it with about 1mm. I was torn between Asus and Msi really, as both have a RGB-system that syncs well with the case I chose.. For a long time I had Asus Strix GPU's and Asus ROG Maximus IX Apex on the list (because I wanted to have that extra slot of space between the GPU's) but the Apex uses two of the Ram-slots for a vertical board which you mount m.2 drives to. First of this means I would have to either change CPU cooler or run it without the front fan - as it hovers over these ram-slots - and it also means you directly block airflow going from the front fans to the CPU with something I'd say is a poorly decided place to introduce a slot-card for m.2's. This then lead to me having to look for the best alternative, which was the Gaming Titanium combined with Msi Gaming X Gpu's. This board has RGB Led strip out, and is well equipped for gaming. 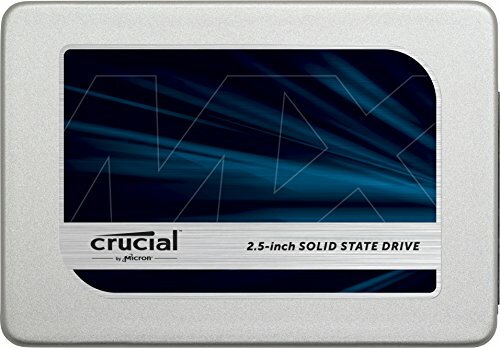 I went with the fastest low profile chips I could find allowing 2x16GB without having to over-volt. 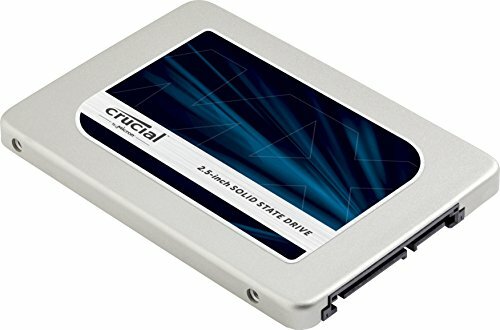 I was unsure of going with 2 or 4x 16GB - but reading that there is no performance boost having 4 sticks (actually a theoretical performance loss from more handling by the Ram controller) and the fact that I don't see myself maxing 32GB or Ram while Gaming - caused me to go with only two sticks this time around. I was looking at Led alternatives, but RGB memory has a huge premium price so far - and they also seem to not be available in all the speeds you might want them in. I didn't want any HDD in this build as they introduce noise in the system (as well as might suffer when placed right next to a powerful subwoofer). So I went with 2 M.2's so I could have one for the OS and apps, and then the other one for Games only. In addition I like using Shadowplay for recording all the time in the background so I can at any time store the last few minutes of game-play if epic moments appear - so this called for a third SSD which didn't need to be the same speed as the two first. The Crucial MX300 was perfect for that job. The main reason I've waited as long as I did with this build was the 1080 Ti's. I knew even before the 1080's went live that those were the ones I wanted - and I felt they were going to be the first cards that could actually pull off 4K 60Fps gaming in Ultra in most titles. For the particular cards I went with these since they have very beefy heat pipes allowing the cards to turn off the fans at idle, and still run rather quiet while gaming. And they also go well with the Msi Led-setup as they can be controlled through the same App from MSI. The primary concern with picking case was airflow. It had to have excellent airflow and cable management solutions, to allow me to ramp down fans as much as possible to make a completely silent computer when idle. My old Cooler Master Silencio is super-loud as it has horrible airflow, but rather try to keep the noise down by trying to block it inside the case. I've learned that the right way to make things quiet is to ensure good airflow to stop the noise from happening in the first place. My previous PSU was a Corsair, and I was very happy with it, and it also have silent operation with fans off when not working too hard. 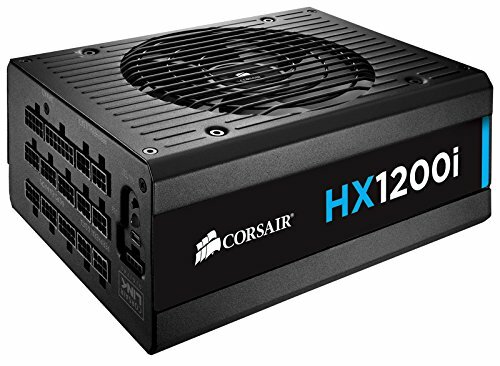 This combined with the fact that most Psu's are most happy when at medium load, as well as PSU effeciency going down over a few years, I found the 1200W to be a good choice. I'm very pleased with the build. It is completely silent when idle - I can't hear a single thing even if I put my head up against the shiny plexi glass. At first boot it was emitting some sound, but a quick jump into the Bios to set up some custom fan-profiles solved this. I ended up around 450 RPM (PWM) on the Case Fans and 500 RPM (DC) on the CPU Fans when idle. this keeps both Gpu's and the Cpu at 50°C. The led's can be controlled separately within the MSI software, and can easily be turned off or toned down - so I'm also very happy with that. For gaming, this thing hits that golden mark I've been hoping for, I can run all the new games I play in 4K on Ultra and maintain 60FPS. Temporal Anti Aliasing should be switched to any of the other AA modes as SLI does not like the TA, but that's really not a loss. I play Wildlands and Witcher 3 (Hairworks off) and get 60-70Fps from the Gpu's so staying above the TV Hz - both these games support SLI well. For Battlefield 1 I run single-card but also plays above 60Fps at Ultra all the time. I did notice a strange sloppyness during my testing, but I read forums suggesting my problem could come from Teamviewer which I happened to have active between my two gaming-rigs, and closing down Teamviewer did indeed solve that entirely. If you have in mind building a Silent 4k gaming rig (quiet while gaming) and got some questions - just send me a message and I'll answer as best I can. I learned a lot through this site as well as the likely 100 hours I spent researching online, and would be happy to help others who are looking to build something similar. As for the price the PC alone, it was a little above 5000$, but things are usually a bit pricey here in Norway compared to say the US, so depending on where you are the price for such a rig can vary. Most Expensive Build on PCPP!! I just want someone to build the PC that I made that is over 100k dollars lol. This dude must be Elon Musk getting a pc like this though. dude agreed like i just spent all my money building a pc, and monitor. It was total like 650 dollars. the pc is only like 3,000 but the other stuff is expensive. It’s 18 months later and it went up 6k lol! Actually this is not the most expensive build, because the 11 8TB drives that he has in the part list are not in the build. this is proven because he says he didn't want any HDD in the build. lol.... we get the point! but is it seriously that big of a deal? That's a pretty sweet sink though. This is why you shouldn't have children. just buy 21 and a half of these and you are spending the same amount! No, according to Google's sources (time.com/money/4629700/child-raising-cost-department-of-agriculture-report/) it's only $233,610. You don't need to exaggerate it that much. @DontLookAtMyName, You dropped this -----> \ You dropped your arm.............. LAUGH hooverDAM IT. What about the your country's/state's cost to put you through grades 1-12 and any college costs that you incurred. You certainly couldn't build a computer without the proper education. Nothing is "free", somewhere somebody is paying for it. The library is only "free" because of your tax dollars support it. Can it run Minecraft at 480p though? Ima go sell all my organs, I'll be back in a few. Just your organs? why not your freedom as an individual? Then I couldn't buy it, cause I'd be a slave. btw, the computer list has some compatibility issues, sooo... might wanna fix those before buying all the parts and realizing they don't match. Well anyways, the parts will probably be outdated by the time you get them. Custom water cooling that runs through your houses piping. Do you realise you can buy a car with this budget? He's Norwegian, I don't believe money was any issue. He probably has a Tesla anyways. Tf2 on low, 480p. What is your fps? My pc can't run tf2 it has a core i5 4202Y and 4 GB of ram and it cant run even Webkinz. You forgot to include the "Ask About My E-Peen" shirt $14.99 (Purchased). My Nissan 370Z cost me less than this..
Great job bud. Thats one hell of a home theater setup. I will definitely be getting one of those couchmasters! well at least your psu fan will never spin. Psu might never spin, gpu fans will only spin when I play 3D-games - case fans run at 400 Rpm and Cpu fans at 500 or so. Okay. I now see why some of the items on this list are so much more expensive than they are in the U.S. I just didn't read it at first. Wow fantastic build. How are those speakers? I'm assuming your an audiophile. Were they everything you hoped for? Yeah I love them :), both the Dali surround and the sub's are very much to my liking. I tried the front stereo speakers at home before buying, and compared them to B&W CM10 S2 - and while I found the CM10's to be a little bit richer in the higher tones, I found the balance to be better overall on the Dali's - so thus I went with the Dali. I also think it's good to stick to the same range around all the channels - as it ensures they have a matching sound. Hell of a build man, some serious HP in the PC and the home audio. I would have thought one of the JL's would be enough to fill a 4x4m room(guessing on dimensions). The only thing I'd really suggest is taking care of the cabling from the TV down to the AVR. Even a white cord hider would be better. Ideally just route it through the wall. I've done internal cabling for the rear speakers - and I'd love a whote/transparent cable for the TV - the new Samsungs come with this - however, the power cord is still black.. The issue with a cable hider is that I pull the TV 60 cm into the room - which makes the cords not long enough if they were to meet at the center then go back to where they need. I was thinking to make it internal in the wall - but since I plan on moving later down the road I didn't want to make a hole on the middle of the wall - after all I dont know if the next owner want the TV at this wall - the previous owner didn't - but I totally agree that it should be hidden.. I wish for the most part that white cables would become standard for all cabling - 90% of all walls are usually white, how many are black? For the JL one will have the power no problem - the reason I went with two is to even out these peak-frequencies - with two subs the tops and bottoms of some frequencies will be evened out by the second. So is it just the power that is to short? If you so can add a power extender in the wall if you wanted to. I used this in a home theater so my projector could be attached to a UPS. I wouldn't worry too much if a future owner wouldn't like it, that is up to them to change if they buy your home. I guess you could always spray the cable white. If they make a white plasti-dip that would work as its flexible (rubber). Normally when I have seen multi-sub installations they are typically in the front and back of the room to even out the frequencies. Any thought to hanging absorption and diffusion panels? You have a nice audio set up but I'm not seeing any room treatments. Hell of a setup though. More of the cables would be too short, but power is the worst to 'extend'. Even if it would go out mid-wall it would need 80cm+ extra slack as i often push the tv 60cm out from the wall, plus swivel it to see the tv from the dining area. Subs come with calibration setup through mic, plus I use audyssey on the Denon to solve much for the room lackings. Sure it will not be perfect, but it gets really good. One in the back would not work well with the room layout, itd simply look bad. No given setup is sure to be good with every room, with subs its often about moving and rerun the testsounds to see what the frequencies read, then move and try again, or more for this setup I did tweaking of the subs frequency settings to get a smooth as possible curve while also going as deep as they could. You watch Linus Tech Tips to use that comparison, It most likely does because there are two GTX 1080 ti's with 11gb each, along with 32gb of ram. Most expensive build on PCPP!! :D Also dope build. Can this case fit 2 ASUS ROG-STRIX-GTX1080TI??? I have the case and it can fit 2 strix 1080ti's although I only have 1 :( it should be able to fit 3 if u make them cuddle and sacrifice anything that's not a 16x slot! Holy balls, that's some awesome home theater setup. BTW what story is that? Quite the view out the windows. Can you add more pics of the pc while it's running? build looks awesome and i can perfectly understand why you didnt go with watercooling. The EVGA 1080Ti cards to seem to have the most obnoxious branding. And I didn't even notice the GeForce GTX logo on ASUS cards. It really does seem like Nvidia hit up a deal with all the major third party card manufacturers to advertise nvidia. The NZXT S340 lineup of cases is one exception though lol. I think my favorite case is the Fractal Design Define C because of all the cable management options. If they put a tempered glass side panel on that case, it would be perfect. My favorite Z270 board right now is probably the ASUS Maximus IX Formula. Although it does have all the RGB stuff, you could create a very understated/mean look by setting all the lights to a single static color. damn! thats an expensive pc! and it looks good too! wow! I knew something was up when I saw $30k as the max build in completed builds......... I thought prices went up for something... nope I was wrong. Do you think that the Denon receiver is up to the task of driving your speaker system? Just curious because those speakers seem like they could last a lifetime and I'm guessing you'll eventually want to upgrade to separate amplifier(s). I'm also curios why you didn't opt for Rubicon lcr's or 1's for your surround and Auros channels over the larger floorstanders. Do you enjoy multi-channeI music? I also know that HT ergonomics can be rough in a living room, but I would try to get that tv up against the one windowed wall opposite the room opening. It wouldn't look as pretty but picture and sound performance would benefit. Your system really deserves a dedicated space, but I guess that's what Audessy is for, lol. Hi, I'm very pleased with the Denon reciever for this build. I know many would go for separate amplifiers - but for this sized room I will never go up to the max the reciever outputs anyway - that would just be painful. The subwoofers are active, and I cross-over >40hz from speakers to subs - so the reciever never push it's limits. I've listened to very little multi-channel music, as they seem few and far between - but I like it. I find to benefit of the surround even at normal tv-watching. Most channels have surround sound even at normal sport - letting you hear the crowd cheer from the side speakers with the action up in front - and it adds to the experience. For gaming it's just awesome being able to hear exactly where the sounds come from, but how good it is depends much on the game being played. For the Rubicon LCR they are good if you can't fit floor standing speakers - but they can't beat the sound of Rubicon 5's. I was thinking to go with the LCR but then was visiting a friend who also had Dali - and he had changed with floor-standings and tipped me that they are better in sound, and that the ability to move them to wherever you want them placed also is a big bonus. As for the center speaker it is also better than the LCR. Now - the LCR are also good sounding, I tried it in my living room before I chose the other one - and it sounds good too, just the 5's and the vokal are both having an edge over them. I'm well aware that the soundstage would have been better if I oriented the entire livingroom up against that side-window - but it simply would not work well for everything else.. You would have to climb over the couch to exit the home cinema space, and you would have to remove the window alltogether to be able to hold the TV there (it would anyway block it all) (As an architect I'd not want to completely mess up the room-setup) - I actually added loads of extra bearing in the wall where the TV hangs to support it, it's a wooden wall - and the TV being able to swivel and hang 60 cm out from the wall needs good support. Thanks for the explanation. No doubt floor standers will out perform surround speakers. Thats what most muti-channel audio experts recommend for music. Its just in my setup I have a diffuse surround speakers and was just curious if they (floorstanders) were too much. Didn't realize you were able to have such extensive research and your friends recommendation would sway me as well. I have a Denon receiver that also has the fx speakers and I just don't have the setup to take advantage of them either. The Audyssey definitely earns its mettle and was a deciding factor for me as well because I also don't have a dedicated room. If the Denon's amp can keep up with the speakers impedance then there would be no need to upgrade unless you really wanted to go to a 7.2.4 setup. Edit: I forgot to say this originally, its really awesome how your tv can come forward flush with the face of the speakers. Probably my favorite thing about your build. Oh yeah and that pc is pretty sweet too! Forgot what kind of site this was, lol. This thing is a monster! Love the speaker setup and the living room is nice and clean and organized, which is a big plus! Thanks! That was made using perler beads like a year ago or so. The build was my first ever, so I absolutely appreciate the positive feedback! Plan on eventually co-oping a build with my wife's computer with her, so that is my next project. Will be very purple. How do you rate the couchmaster? I have a mix of theater chairs and a couch and I am needing a better surface than my lap. If it's your primary location it's very nice. it has space for cables inside, with holes on various locations for cables. so when all is "installed" you have a single USB cable going from the Couch Master to the PC - then a hub inside where you connect keyboard and mouse. Best is to leave most of the keyboard and mouse cable then inside the Plate for minimum clutter. If you use a wired headset for night playing then you must also have extension for that. If you play with all wireless they also have a cheaper option for that without the usb-extension/hub. If you use theater chairs with arm-rests then the plate can simply rest on the arms (unless they are too tall - but thats not common) - else for a couch the pillows that comes with it will raise the couch-master so it wont rest in your lap. Personally I've lately used it right in my lap as I like the ease of less elements as well as finding the low-profile plate rather comfortable - but I'm sure the height is up to taste really. I've noticed Roccat and some more has started to create things like this: http://www.roccat.org/nb-NO/Products/Gaming-Keyboards/Sova/ which should also be looked at. This will however mean you are locked to that keyboard.. and as I like to have my keyboard tilted at an angle, that means I'm better off with a loose keyboard which I can tilt the way I like it. I'd roll the dice to 5 for the couch master. Not here in Norway, here the price of that card comes at 1000$, and is not in stock. In general prices for all things are more expensive in Norway than most places, though income is also generally higher. So I'd be able to save 20$ by going with a card I could not control with the same software as the motherboard - which would be a bad deal as I see it. For me it was either going with MSI both for motherboard and gpus, or Asus for both - as both of these are compatible with the same lighting setup as the Case - Evga does not have that, and as far as I know they also do not have a motherboard that allows the two gpu's to be this many spaces apart. 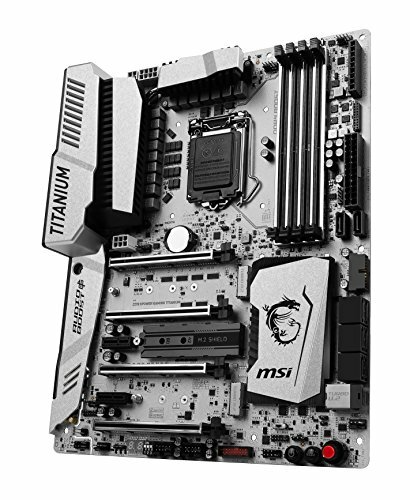 (the last point could be wrong, but I've not seen such a motherboard from them with Z270). Which type of audio connection (S/PDIF or HDMI or ? ) 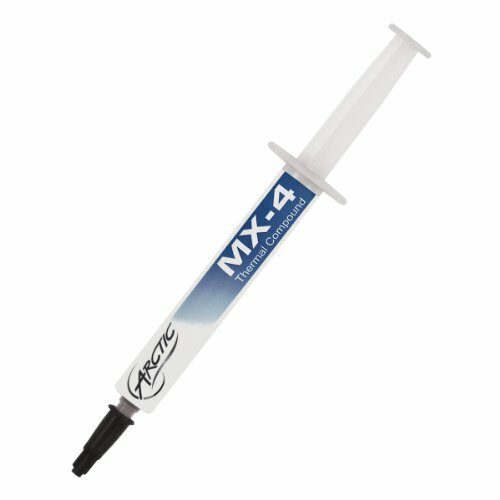 do you use for connecting the PC to the Denon AVR ? I' using HDMI through the reciever, which then sends the picture to the Tv, and sound to the speakers. This is the simplest, but also the best way to connect as it carries a much higher bandwidth than s/pdif, and supports higher res audio. This doesn't count. Janus still is the most expensive actual computer. Soooooooooooo overkill!!!!! Lol, this build is dope!!! Also, love that case man!!! I'm probs going to get that one... but in the grey, cause it looks dope!!! The one thing I would suggest, is a custom water cooling loop... You have tons of room for a sweet radiator, reservoir, and it just would have looked beautiful! You could always down the line do something like that... I was just noticing the huge empty space on the right, and thought to myself "man, a massive reservoir would look so great there.... Great job! The total cost of this computer, including the system, is my yearly salary....I feel poor. CPU is 50°C at idle, 60-70°C while gaming. GPU is also 50°C at idle, bottom card 65°C and top card 70°C while playing Wildlands 4K Ultra - though in many gaming scenarios the top card will reach 80°C and the bottom card will then be 5-10°C below this. Some of the prices are suspect. I understand you are in Norway and consumer purchasing power is different, but I also believe there are much thriftier ways to obtain 1080TI's than buying them at a $300 premium. While I'm impressed with the raw power of this build, I cannot agree with the outrageous price tag. I have virtually the same build at $2K! That's just not right! The graphics cards were bough from the first shop that could deliver them here in Norway, as I bought the card day 1. which is also the largest seller of pc-parts in the country. Their price for the GTX 1080 Ti MSI Gaming X is still the same '1020$'. I can't post a direct link as pcpp then deletes the comment, but it's really easy to look it up if you are that concerned about the prices put up. There are today possible to get the card for as low as 985, meaning that if I had waited for a week I could have saved 35$ per card - but when I put up the build I place the cost of the parts where I bought them, at the time that I bought them. It's rather easy to look this up yourself by going to the Norwegian websites. prisjakt.no shows the lowest possible price over time in Norway - (this is not a key reseller - prisjakt does not sell anything but only picks up prices from all around the country to display the cheapest) thats a good place to go if you'd like to compare those prices. i wish i could build a PC that costs half of the cost of the PC alone. 30k pc, doesn't use water cooling. and for good reasons, watercooling wouldn't have made the cut for this builds goal. :) you'll see why in the description. I spent much time looking at both air and water cooling, and while water is the best thing to do if you look for pure power and overclock while staying quiet - it can't beat a air-cooled system running at moderate power which get's completely silent. If I wanted an even more quiet system during heavy gaming - then water would make sense - but it would also result in minor sound during idle, which was not ok for me this time around. 0-0 heh I bet my pc is like 5 bucks more than your SSD... beat that! That's a really cozy looking living room you have there. This build is pretty awesome and looks super clean but you WAY overpayed for the GPUs and for the CPU. Submit this to TechSource's PC Wars! Guess I'll just kill myself now then. But can it run crysis at 360p at a stable 5fps? if clocked right I'm sure it can.. The cost is about what people spend on a car. I neither want or need a car. So it's really more about priority than anything else. This is what console peasants think every pc build costs. Still unsure here though, what FPS does it run minesweeper? But can it run Crysis 3? This guy is stupid! He could have saved on the OS by getting it off of the Reddit thing! Geez, I don't know what kind of spoiled person could afford a $30,000 computer. 29,950, however, is perfectly reasonable. HOLY BAJESUS what a nice build!!! I have two of the same GPU's. Is it better to run them with a 4K monitor or 1440p? Who else literally took the price bar and set it all the way to the end just to see how crazy it was? i love that ******* couch setup, and well all of it, **** man, nice. Incredible. Great engineering, planning and rollout. You forgot to include the price of your car in the total. You counted your tv, speaker system and couch... might as well total up all of your possessions into your "build." Here I could not :) I did spreadsheets of the cheapest available RAM for each speed from the Norwegian stores on the day I bought them, and got the ones that was the cheapest :) 'More powerful' means? Combined CAS and Speed could not have been better without upping voltages on the RAM. As mentioned many times earlier - remember Norway and the US does not have the same prices for computer parts. And this is also a way to go broke. You really took time with this and I appreciate you for that. Expensive but worth it. On pic 3 I thought the CPU socket was TR-4 (EPYC's one) and for a sec I thought you were some super-1-clickbait exclusive-come-see-me-build-or-no-EPYC-4-u-kid... er..
and here I am with a ~$300 dollar budget. but but why 5000 dollars for one speaker? You need a VGA holder bro. 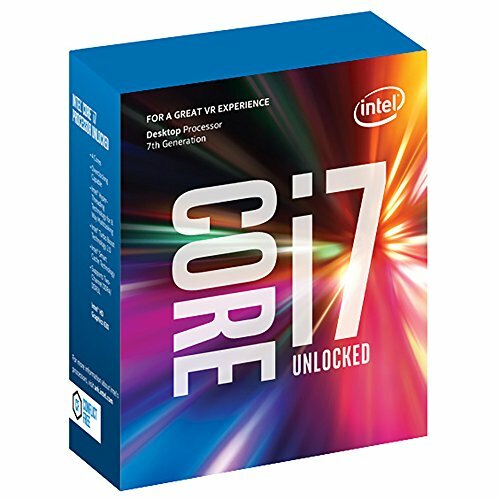 Why did your i7 7700K cost that much? And the same for the MSI Gaming X 1080 Ti's? Those should not be that expensive. The specs on this look awesome but that is a very expensive PC. 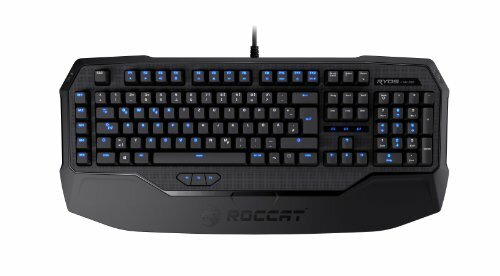 Why did you use Roccat peripherals? Okay. I just hadn't heard a lot of good things about them here. The brands in the U.S. with the best reputation are Corsair, Logitech, and Razer. I'm sure if the are German designed they can't be too bad (I was actually there just a while ago in Düsseldorf). Good work on the build. Thanks for answering my question. You can't really go wrong with either of the brands you mentioned either, top quality. I remember in the early days there were lots of hit and miss with keyboard and mouse - but now there is just so much good stuff to pick from :) you are welcome. noise is the reason. every aio will make some amount of noise, as all water cooled systems will with pumps running and water flowing. (they can get very quiet, but not dead silent). 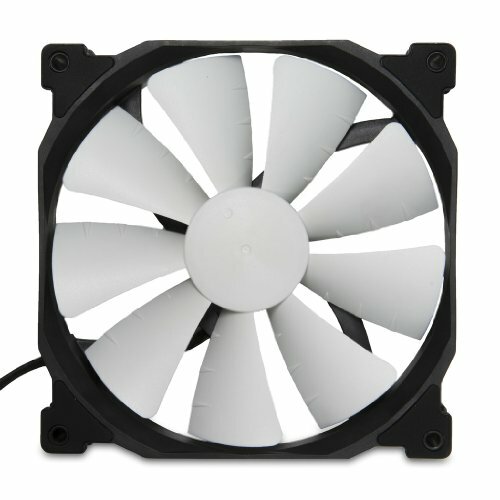 air cooling with passive (ribs) as well as very low speed fans will always beat aio in noise during idle. Love the setup! Very clean. love the Samsung 4k tv's I just upgraded my system to klipsch 5.1.2 atmos setup. I haven't tried pc gaming on my 4k samsung yet how is it? I like it very much for casual gaming, single player and split screen (racing for instance). However for competitive FPS games like Battlefield 1, PUBG etc. I find the input lag, even though the Samsung does in the low 20's is more than I'd like. My gaming monitor's are doing 2-4ms and I notice the difference in fast pased twich aim games. In games that are played vs AI, and games with more strategy than reflexes the 4K monitor with the large picture is on another level.. Everything is more clear, hearing where the enemies are in surround is a huge advantage. does games take advantage of the height sound yet? or only uhd blu-ray movies? Ya that is true! I really want to see how destiny 2 is on pc vs ps4 pro. I that is the big deference i noticed too in the fps games on pc makes huge difference. I like playing both for alot same reason. only blu-ray. But you can use the atmos upmixer which does really good job but dts:x nueral upmixer is way better than dolby's. 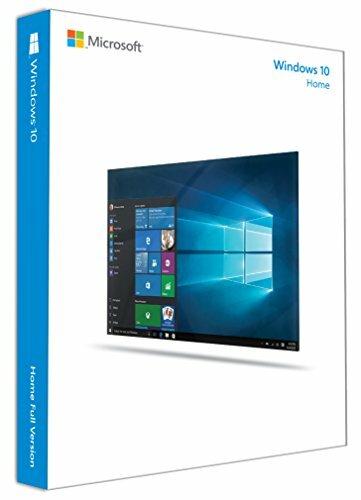 Have you tried the atmos upmixer on win 10 pc yet. its $15 in the app store or overwatch has it built in the game and does sound great on some good headphones. This is actually good but I think a console will be a nice touch either Xbox One X (when it's released) or a PS4 Pro... just saying even if you're a pc master race. My dude, where do you even work to get this kind of money on this? im sure this can hit 8k no problem, although you might need a couple more case fans to keep it at a low temp. Congrats, you have the highest priced build on PCPP! 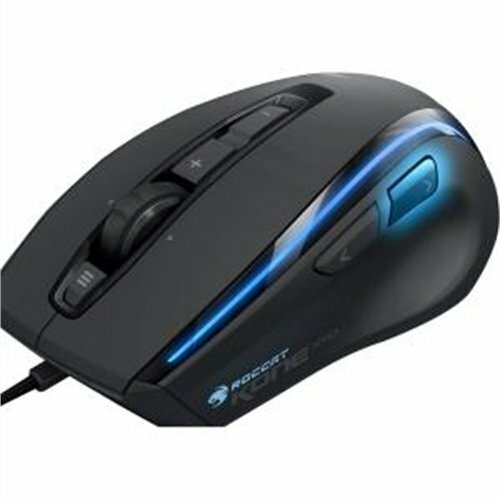 I should also mention that I got a Logitech M235 mouse and a K830 Illuminated Living-Room keyboard which both run on Bluetooth, though not listed here as they are secondary, used for when listening to music etc, and not used for any gaming - well except games like Heartstone etc. Holy crap man, what job do you have to have that much money to spare? All that load of bull**** is the heart of the Home Theater Gaming Setup, the case with content is indeed just a fraction of the price, and also the part that is likely to need an upgrade first - Tv, speakers etc. is likely to last for a long time. Not sure why non-game related builds are posted onto the wall of my build - how does it relate to my build? And it isn't a Ryzen... it isn't even a Ryzen 7 1800X. I wouldn't be surprised if it was a Threadripper or an i9, but it is an i7? I guess those SSDs cost a fortune. What, ok, so I understand the April part but Ryzen CPUs are better. But what I was getting at was how rediculously high the price was. Ryzen CPUs are the better options now as they out prefom Intels CPUs in every single aspect... you must be thinking of the FX series. Every video I have seen, the Intel CPUs were the ones getting smoked. Please post a recording of you playing games on this majestic living room setup to youtube. Please. Did you actually build it? Jusy curious did the CPU cooler make it difficult to install ram or find a case that would fit it? I'm looking into that exact cooler and was hoping for your feedback. What the **** do you do for a living? Faulty build list.. parts are not compatible, prices are wrong, and most of it wont even fit on the motherboard.. why even post such a list..? so what's a Dali Rubicon 8, and why does it cost $5,100? Dali Rubicon 8 is the largest member of the Rubicon family, one of the higher end speakers from Dali. I use those as the Gaming Home Cinema's front speakers, paired up with Rubicon 5 in the back and Rubicon Vokal in the center. I chose these speakers after having many trips to various hi-fi stores and listening to speakers from a lot of different companies. In the end there where two set of speakers I liked specially, and those where the Bowers & Wilkins CM10, and the Dali Rubicon 8. I got an arrangement and got to borrow a set both the series to listen for a weekend in my own livingroom, and set them up for a good long music listen - I connected thm to A and B output on the amp so I could swap back and forth and compare those speakers. I didn't actually pick a clear winner by any means, but found Rubicon 8 to be very the "winner" in mids and lows, where B&W had an edge on the highs - but ultimately went with Rubicon 8. Sorry for the wall of text :) They are priced relatively similar to other speakers that perform about the same, and where you can go down to a cheaper serie and save a good amount of money, you also hear the difference right away when you compare them. I'd say the Rubicon 8 is certainly good for music lovers, but they are not up there with the "crazy enthusiast only" segment :) - As I live in Norway, and Dali originates in Denmark, it's also a fairly known brand here, while in the US maybe not so much - though the subwoofers I got should be fairly well known over there, and was not as easy to get a hold on up in Norway. Well, can't have a cinema experience without the cinema speakers! did you include all the "professional installation" options on your pc parts? So....can you play pong on it? This puts youtubers with powerful computers to shame when looking at this beauty. What is the watts of your be quiet dark pro 3? Planning to get one, I want to know if the 250w version is worth it. But who wants to look five feet to the right to find a file and then five feet to the left to launch an app. but does it run roblox in 30 fps? I play on getting 2 1080ti's how do you like them? Is there a obvious difference between just one versus 2? This man put around 6k into the PC itself, and almost 18k into speakers alone. If you loose the record for the most expensive build will you somehow one-up that build? Not expensive enough. I think you need an i7-7980XE... and 50 2tb Samsung M.2 960 Pro drives. Also why are there like 30 deleted comments? please rip that light fixture from the ceiling, then burn it. After that, we're all good. I'm sorry, it's just a huge eyesore. You know you have too much money when your computer costs more than your car. I want to buy exactly the same build...but only the Tower nothing else! :D it's perfection! well done! you are autistic whether or not the staff wants to delete my comment. Those two 1080 TI's in SLI is straight bananas how are they performing because I have one, for now, will it really benefit me to get another and duplicate the same setup. Did anybody notice lots of comments on this build and lots of builds disappearing? But can it run Minesweeper at 10 FPS? All in all good build. You provide inspiration to me, almost same (with my planned build). Wow. That thermal compound is a big expense. Its value is more than my entire pc! Congrats on the new most expensive build on PCPP. +1 for a nice looking theatre. "but things are usually a bit pricey here in Norway compared to say the US, so depending on where you are the price for such a rig can vary." wouldn't have been more fiscally responsible to just take ALL that money and invest in your local theatre, thereby becoming a silent partner and literally making money off your investment?! !!!!! SOOOO BEAUTIFUL !!! SOOOOOO GOOD !!! SOOOO NICE ,,,, REALY SOOOOOO EVERY THING !!! 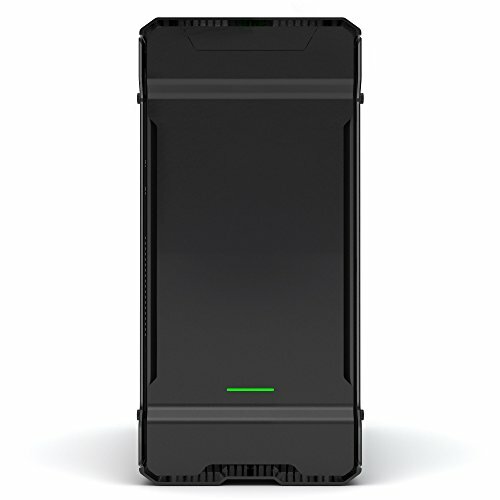 First time builder here, I have the same case and a dark rock pro 4. Did you connect the pwu hub 4 pin to cpu fan and the dark rock to cpu opt? Great build, but why is it so overkill? You are playing on a tv that is probably 60hz. No hate. Just wondering. Never seen anything like that. Pretty awesome for a set up in the livingroom as a home theater. So this just your cabin? Sweet Jesus, how many games are you trying to fit on there? You mining Bitcoin or something? [comment deleted by staff] Am I right? How much money are you making to afford this!!! I can't even a afford a basic desktop. Might I ask what profession you're in? That is really expensive! Was it worth it? Nope, I chose to rather do manual duplex through Total Copy - as that way, if some files are accidentally deleted, or encrypted by a virus - the mirrored disk will not get the error. It means more work from me, but also a safer backup. It also makes it faster to replace any disks if they should crash.